(1) The analysis results using the above named methods gave all the bending moments in the staircase to be sagging. (2) Finite element plate model gave the maximum sagging at the flight to be 41.1 kNm (see Fig 5), while the maximum sagging moment on the landing was found to be 32.6 kNm (see Fig 6). This result was found in both pinned-pinned model and pinned-roller model, therefore, there is no difference in using any of the support conditions in Staad Pro. (3) Static 2D frame model of the staircase gave the maximum sagging moment on the flight to be 41.1 kNm, while the maximum sagging moment on the flight was 33.82 kNm (see Fig 10 and 11). In principle, it can be said there is no difference in modelling the staircase as a simple 2D frame or as a 3D plate model. The former is more economical time wise. (4) The model of span dimension adopted for the manual equivalent beam calculation was picked from SCALE software, and the maximum moment on the flight was found to be 36.04 kNm (see Fig 12). This is about 12.3% less than other models. A little consideration will show that this effect stems from the span dimensions. Where Lf is the horizontal span of flight, Lf,m is the actual length of the flight, and ϕ is the angle of inclination of the flight. We can see that is more comparable and conservative when compared with results from computer models. 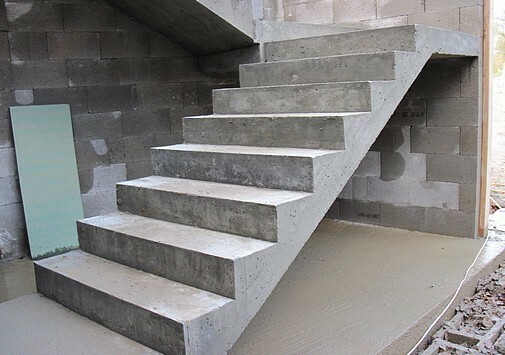 Therefore, for all simple staircases, we can use the developed length of the flight instead of the horizontal length to analyse the staircase as a simply supported beam. However when checking for deflection, we should use the horizontal length. Thank you for visiting Structville today. God bless. Erroneous conclusions. The static 2D frame model is wrong, the dead load should be multiplied times the Cos of the angle, and live load should be multiplied times the square Cos of the angle. Well, the post is not about load analysis, but modelling and structural analysis. However, if you can provide more insight on the point you are trying to make, it will be deeply appreciated. Thanks. It's obvious that you cannot apply the full load at the inclined portion of the stair, but just the component perpendicular to the surface. Since the live load is applied to the horizontal projection, the component is squared. Never ever use the horizontal length of the stair, as you incorrectly concluded. Ok. Let there be no confusion. The global load on the staircase (both landing and flight) has been determined prior to this post, and it is not the subject matter. In the post, the conclusion was NEVER that you should use horizontal length while using simply supported beam model (read the discussions very well). However, what I said was that while checking for deflection (L/d ratio in this case), horizontal length can be used. That's incorrect. Do not use use the horizontal length to check the deflections either.